Adventure #4 | College is…….. Almost didn’t make it this week! It’s been a crazy week with tests everyday! Luckily I still managed to escape and have a little fun! I saw Seven Psychopaths, which was hilarious!!! Everyone needs to watch it now! 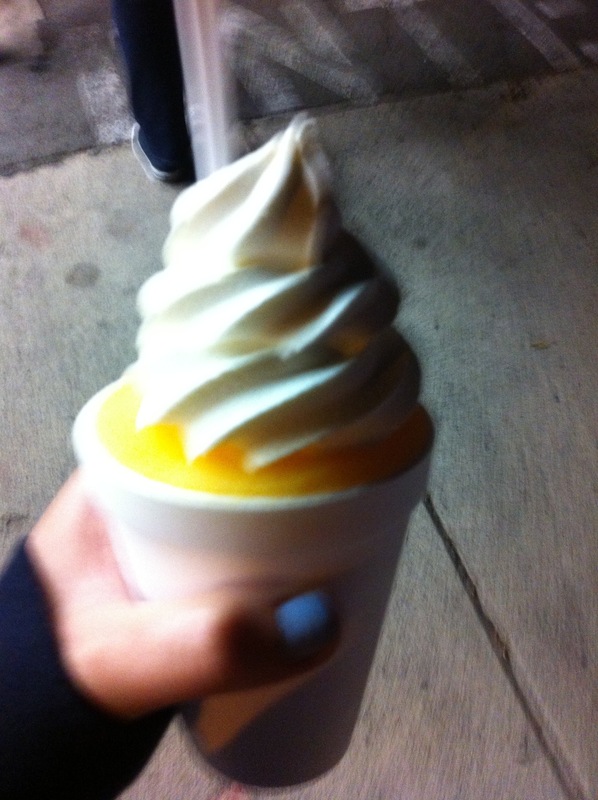 I also managed to try Joe’s Italian Ice for the first time ever! This place is in one of the sketchiest areas, but it is one of the best desserts you’ll ever taste!! This entry was posted in Uncategorized and tagged adventure, food, movies. Bookmark the permalink. Everything is very open with a precise clarification of the challenges. It was definitely informative. Your site is very helpful. Thank you for sharing! When I initially commented I appear to have clicked the -Notify me when new comments are added- checkbox and now every time a comment is added I recieve 4 emails with the exact same comment. There has to be a means you can remove me from that service? Kudos! I think you will have to unfollow yourself unfortunately. I can’t figure out how to remove you 😦 sorry! Hi, I do think this is an excellent website. I stumbledupon it 😉 I am going to come back yet again since I book marked it. Money and freedom is the greatest way to change, may you be rich and continue to help other people. I’m pretty pleased to find this site. I need to to thank you for your time just for this wonderful read!! I definitely savored every part of it and i also have you bookmarked to look at new information in your blog. This is a really good tip especially to those new to the blogosphere. Brief but very precise information… Thanks for sharing this one. A must read post! After I originally commented I seem to have clicked the -Notify me when new comments are added- checkbox and from now on each time a comment is added I receive four emails with the exact same comment. Perhaps there is an easy method you are able to remove me from that service? Thanks! Hi there! This blog post could not be written much better! Looking at this post reminds me of my previous roommate! He continually kept preaching about this. I’ll forward this post to him. Fairly certain he’ll have a very good read. I appreciate you for sharing! Hi there! This blog post couldn’t be written much better! Reading through this post reminds me of my previous roommate! He continually kept preaching about this. I most certainly will send this information to him. Fairly certain he will have a good read. Many thanks for sharing! Hello there, There’s no doubt that your website might be having web browser compatibility problems. When I take a look at your site in Safari, it looks fine however, when opening in IE, it’s got some overlapping issues. I just wanted to give you a quick heads up! Aside from that, great website! Oh my goodness! Incredible article dude! Thank you, However I am going through issues with your RSS. I don’t know why I am unable to subscribe to it. Is there anybody having identical RSS problems? Anybody who knows the answer can you kindly respond? Thanx!! An outstanding share! I’ve just forwarded this onto a co-worker who had been conducting a little homework on this. And he in fact bought me dinner simply because I stumbled upon it for him… lol. So allow me to reword this…. Thanks for the meal!! But yeah, thanx for spending the time to talk about this subject here on your website. Spot on with this write-up, I truly believe this web site needs far more attention. I’ll probably be back again to read through more, thanks for the information!